Franciacorta – Italy’s little known sparkling wine – rivals champagne in taste and quality, but not price. Mark it down for your next Italy travel. Franciacorta is a wine production zone similar to Chianti or Valpolicella. 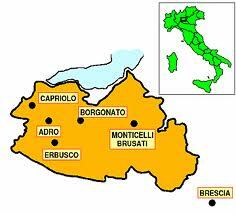 The picturesque area is in the province of Brescia, midway between Verona and Milan. 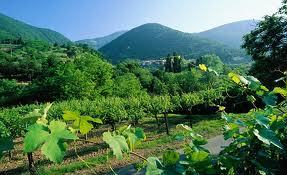 It has lush rolling hills and is bordered to the north by Lake Iseo and the south by Mount Orfano. The mild weather and rich terrain provide ideal conditions for producing wine.